I had never heard of a fly-cruise before my recent trip to Antarctica but without it I probably would never have visited my seventh continent. I always thought that people visited Antarctica the same way; by taking a ship from Ushuaia, Argentina across the stormy Drake Passage and back. When I learned about the benefits of a fly-cruise though, I was sold. I visited Antarctica through the sponsorship of Adventure Life, an adventure tour company that specializes in taking people to some of the most amazing places on the planet, including on Antarctica cruises. I of course wanted to visit Antarctica, but I didn’t want to spend weeks doing it and I was nervous about the Drake. The Drake Passage is one of the most treacherous waterways on the planet and passengers aboard Antarctica bound ships routinely complain of severe seasickness and even slight injuries. The fly-cruise operated by the cruise company Antarctica XXI and sold through Adventure Life figured out a way around these problems with its first fly-cruise ten years ago. The process is simple. Rather than fly to Ushuaia, Argentina passengers who choose the fly-cruise go instead to Punta Arenas, Chile. 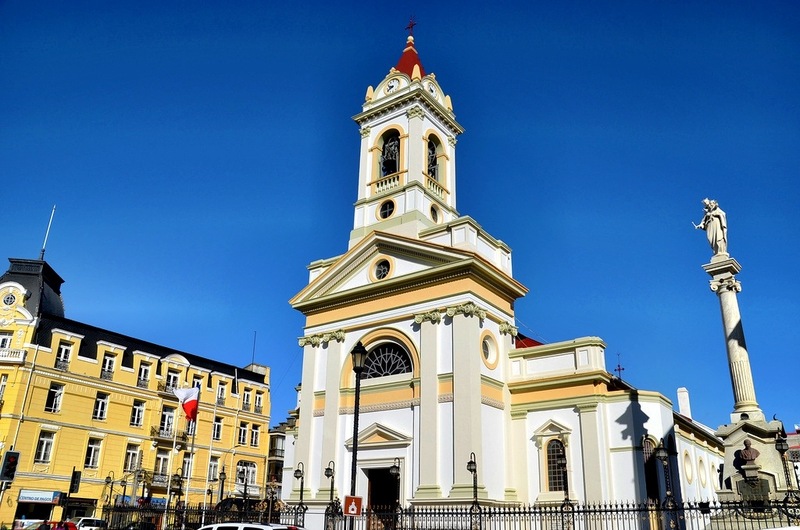 A town of around 150,000 people, Punta Arenas is one of the southernmost cities in Chile and the launching point for flights to Antarctica. Guests fly directly from Punta Arenas aboard a special charter plane to Frei Station on the South Shetland Islands of the Antarctic Peninsula. The flight is only two hours, a far cry from the two days sometimes needed to cross the Drake. Once at Frei Station passengers meet their cruise ship and begin a five-day adventure sailing around the icy continent; the same sort of cruise those who leave from Ushuaia experience. The process is reversed at the end and when all is said and done at least four days have been shaved off of the trip thanks to the flight. Are there possible complications with this option? You bet, and I experienced a minor example of them. Weather in Antarctica is fickle, very fickle and the pilot needs to make sure an appropriate window of suitable weather is open before any flight can even leave Punta Arenas. On the day we were to fly we woke up at 4am for an anticipated 7am departure. Almost immediately though we were told that the conditions on the ground were too foggy, making it impossible to fly. We eventually did make it there of course, but it was eight hours after our original flight time. The delay didn’t impact the trip at all and was minor when compared to what adverse conditions on the Drake can do to a ship’s schedule. If the weather is bad enough in the passage it can take days to cross, so a delay of eight hours for our flight wasn’t a big deal at all. The same concerns are present on the way back of course, which makes it important to build in enough buffer time just in case. I loved the fly-cruise for its convenience and because it allowed me to skip the tedium and nausea that most passengers experience on the Drake Passage. When it comes to Antarctica, it’s not how you get there that matters. What matters is that you get there and experience first hand one of the most remarkable areas of the planet. It truly is another world down there and is one that must be seen in order to be believed. Great post! I get severe sea-sickness and this is the way I’ve talked about visiting Antarctica for a while now. I’m glad to see a post about this option from someone that has done it! The big problem is the cost of such a trip as well as getting back to Punta Arenas which I visited when I went to Chilean Patagonia! First of all I just wanted to tell you I am a fan! I was reading the posts on how things developed for you to be working with travel, which is your true passion, and I echo the sentiment. I am in the process of figuring out how I do what I love for a living and reading your story motivated me to try and pursue it… good to know I’m not alone! I must have been a dream to go to Antarctica, it’s a destination I always saw as impossible but it seemed fairly straightforward from your post. 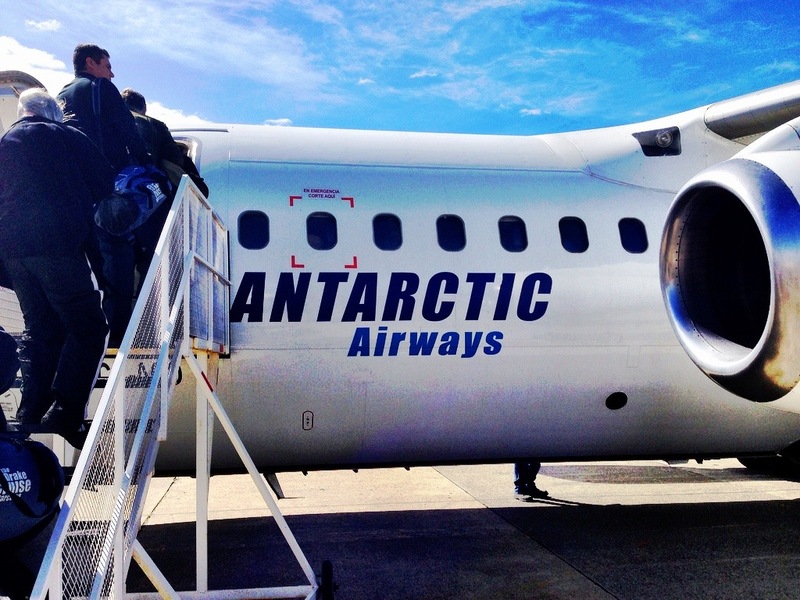 A question: how was the flight from/to Punta Arenas? I noticed the plane wasn’t a big one and I’ve had some stressful experience on smaller planes, so just wondering how it was. Well the plane certainly wasn’t small. The aircraft used it a BAE-146 which seats about 100 people or so. Very similar to most planes used for shorter domestic flights here in the US. Congrats on getting to your 7th! Incredible!!! Not sure Antarctica would be on my travel list but your posts sure have me interested! I liked the “Five things…” post. Did not know Antarctica was so dry. How much actual travel time in total did you allocate? 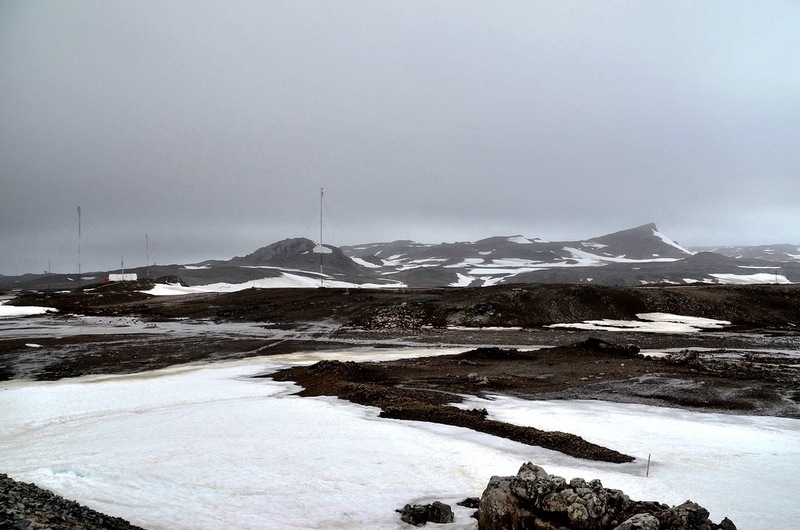 Did you add some down-time days before and after the actual time in Antarctica? LOL Donna, I thought I’d go for the rugged look in Antarctica. 🙂 I did allocate some down days, probably too many. A day before and after is important in case of flight delays/missed connections. So, all in all 8-9 days should be sufficient. Keep in mind the flight times. I live in DC, so it was two hours to Miami, almost 9 to Santiago then another 3 to Punta Arenas. Sounds awesome — where can I sign up? Great to know this option exists! Yes, great option and thanks for bringing it to our attention. I hate rough seas and will definitely keep this in mind for a visit to Antarctica. I would seriously stress about the Drake passage with my two little girls on board. Thanks Craig and yup, a perfect alternative really.